I realize I've been posting a lot of promotional stuff lately - book launches, book reviews and the like - but not much else. Well, here's a bit of an update as to what i've been up to both on a personal front as well as um well, the more writerly stuff. I've got a new website! If you've been around for a bit, you might have noticed that I've changed things around this blog recently. This was done mainly so that it isn't such a far cry from what my new website looks like. Pop on by to www.annatsp.com for a look-see! You might have also noticed, but I'll point it out again anyway - the old natzthinks address now redirects you to blog.annatsp.com. The website and this blog is still a bit of a work in progress so I hope you'll bear with me! On the writing front, I've compiled a book of my flash fiction surrounding my recent musical drama script, A Place to call Home. Most of these are pieces I've put up here for #fridayflash but there are some all new pieces as well. I'm currently waiting for the cover before I start the arduous (so I heard) process of the Smashwords meat grinder so expect news on that really soon! iBridge camp! This time it's a four hour drive down to Kuala Lumpur on Thursday(30/8) for four days full of fun! Will be coming back on Sunday (2/9). My long-awaited Bali trip will be at the end of Sept and we literally haven't planned anything at all! (Or at least, I haven't) I need to start looking up stuff, making bookings maybe? Doing some kind of itinerary. Oh and confirming my KL dates. I need to change my flight. Sigh. Another acting workshop on the horizon, this time on the 6 & 7 of Oct in KL with Michael Parks Masterson. That's most of it at the moment, well that I can think of anyway. So the other day, I made a new facebook writer friend via another facebook writer friend, and his book sounded interesting, and so here it is. Just helping them spread the word! Readers! Eight award winners in the 2012 eFestival of Words "Best of the Independent eBook Awards" have grouped together to offer you an amazing opportunity. They've reduced the prices of their award-winning novels to 99 cents for August 27 and 28th! Whether you like to read mysteries, romance, horror, young adult, women's fiction, or fantasy, this group has it. Are you a writer yourself? Do you want to learn all about digitally publishing your next masterpiece? They've got you covered there too. Get all eight award-winning ebooks for the price of one single paperback! Laura Carnegie gave up on the man of her dreams a long time ago. He's fashion designer Jeremy St. James, and not only is he her boss, everyone knows he's gay. When the woman who holds the company purse strings is found dead in the office, and Jeremy's arrested for the murder, everything changes. If Laura can just solve this crime, keep the cops off her tail, break up a counterfeiting ring, and get the show on the runway by Friday, she might stop being Seventh Avenue's perpetual loser. This guide contains over 60,000 words of essays, articles, and how-to guides, as well as contributions from 33 bestselling indie authors including J Carson Black, Bob Mayer, Victorine Lieske, Mark Edwards, and many more. It covers everything from how the disruptive power of the internet has changed the publishing business forever to the opportunities this has created for writers. It gives you practical advice on editing, cover design, formatting, and pricing. And it reveals marketing tips from blogging and social networking right through to competitions, discounts, reviews, and giveaways. If you are considering self-publishing, if you need to breathe life into your flagging sales, or if you want to understand why it's a great time to be a writer, Let's Get Digital: How To Self-Publish, And Why You Should will explain it all. 61 A.D. For ten years, Taras has lived in the young city of Londinium, feeding off the city’s underbelly. But now Theron, his old enemy, has come looking for revenge, and Taras’ nights of living in relative peace are about to end. Yet not even Theron can slip into town unnoticed, and the Council of Thirteen sends Ramah to deal with the two renegades once and for all. But unknown to the Council, a much older enemy is also in Londinium, and this time even the great Ramah might not be safe. Set against the backdrop of the Iceni uprising in Roman-era Britannia, 61 A.D. continues the story of Taras, Theron, and Ramah, as they fight their way through history. Nic Lamoureux's perfect movie star life is shattered by a stalker who threatens any woman close to him. When he meets photographer Lauren James, the attraction is instant--and mutual. She's exactly the sort of woman he craves, but the stalker makes deadly clear Lauren is the competition. And the competition must be eliminated. When teen witch Ivy MacTavish changes a lizard into her date for a Halloween dance, everything turns to chaos. And when no one is powerful enough to transform him back except Ivy, it sparks the rumor: Like father, like daughter. Worse, someone has used an evil spell book to bring back two of history's most nefarious killers. Her messianic brother wants peace. The black god wants his due. She suffers all the consequences. Hallie Mediate was raised by her (slightly) crazy Great Aunt Grace on the wrong side of the tracks in Cincinnati. Hallie escapes her hometown and never looks back. That is, until she’s transferred back to the hometown. Not wanting her past to cross paths with her future, Hallie puts her life on hold. Aunt Grace is still up to her old tricks, but Hallie finds some sanity at a local jewelry-making class where she uncovers a hidden talent for beading. Will she keep searching for the happiness she may already have found? Thomas Ford is the only survivor of the car crash which killed his wife. He is also the only witness who would be willing to identify the young, reckless driver who caused the crash. But the driver would sooner see Thomas Ford dead than ever let that happen. Fingers scrabbling against the wall. Reaching, pulling, but never quite able to find purchase against the tight ropes around her wrists. She lay still as the sound of footsteps echoed down the corridor. “Not here, not now, not here, not now,” she whispered, eyes squeezed shut. There was a long rattling at the door before it creaked open. She felt her heart sink. The long silence was unnerving. Cautiously, she peeked at the door. Silhouetted in the doorway was a hulk of a man, leaning in, his head cocked to one side. He stepped into the room, the door swinging shut behind him. She couldn’t help the sob that escaped her. “No, please, no,” she cried as he loomed over her. “No?” he said in an amused tone of voice. He squatted beside her, thick fat fingers pushing her head up. He seemed to study her face, even as she searched his. It was a hard face, his eyes dark and angry. A long scar ran from the edge of his left eyebrow, right across the cheek. He tugged at the end of his ponytail thoughtfully, pulling loose a stray strand of hair away from where it had tangled with stud in his ear. “And what should I do with you?” he asked oddly as he grabbed her by the arm and roughly hauled her to her feet. A knife seemed to appear from thin air and she shrunk away, her eyes flicking desperately beyond him towards the door. He followed her gaze and chuckled. “Stay there and don’t move,” he said, waving the knife at her. He pulled her by the arm out of the room and through the house to where a car waited by the back gate. He got into the back seat with her and nodded to the waiting driver. “Who… who are you?” she asked. My twitter friend Jim (@olbigjim) sent me his book way back in May for review purposes and... I was so caught up in a gazillion and one things (work, musical, WORK!, musical, Broadway!) that I delayed and delayed and delayed until... now. While exploring the old haunted house near his home, Jim stumbles upon a portal to the past. Stuck in the year 1828 for six months until the portal home reopens, Jim builds strong bonds of friendship with his new Cherokee friends. Realising that all he learnt in school about the history of the Cherokees in America, including the Great Removal and the Trail of Tears, would impact the lives of his friends, Jim is faced with the choice - to tell his new friends about their future and likely change the course of history, or to keep silent and let them face their fate? When I first started reading New Yesterdays (as usual, without bothering to read the blurb) I thought it might turn out to be a horror story, seeing the amount of references to haunted houses and scary movies & stories. I was pleasantly surprised that it turned out to be a classic what-if book based on historical facts. Story-wise, it was a pleasant read, though at times the language shifted from an informal story-telling tone (when relating Jim’s story) to a more formal style (when dealing with the Cherokee war and councils). A minor detractor to this book (I was reading the epub version - this probably won’t affect print/other versions) was that page numbering appeared haphazardly in between paragraphs. The title also appeared as “Ebook title” rather than the actual book title. More effort put into the formatting of the e-book version would probably have earned it at least another 1/2 a star! *I received this copy for review purposes from Jim Wright. I started a little project on Saturday which I thought would be pretty quick. Except that I'm a little bit of a tech/IT noob and I've been fumbling through some stuff that should probably have been easy for others out there. At any rate, it's coming together now, and there have been a few changes on this site. And more to come, probably. And also a little confused. So while I'm still working things out and trying to make up my mind (decisions, decisions!) just sit back, relax and go visit some Raya open houses. Which Oracle character are you? 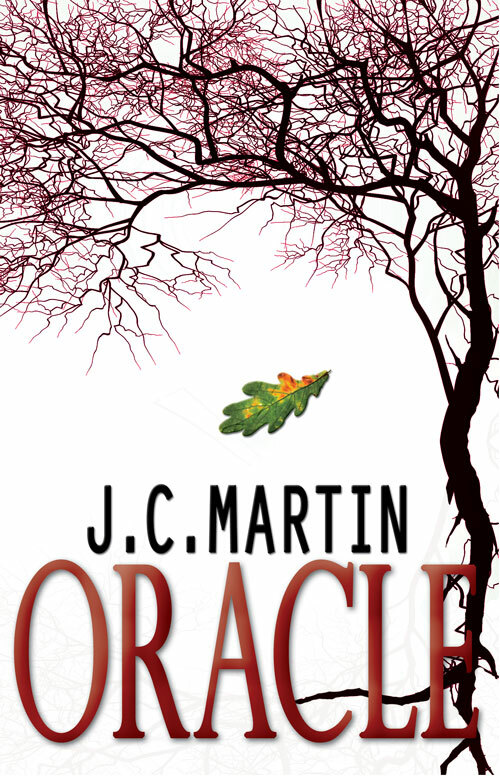 And... we're the next stop on the Oracle Blog Tour Olympics! Psst... don't forget to drop by at the ORACLE Blog Tour Olympics HQ. The Medals Tally runs until August 31st, so there's still time to get in the running! He sat, staring off into space. Life used to happen here. Stories had unfolded. Love was shown. He patted the empty space beside him, wishing that she would appear as she used to, her semi-cutting words, "existential angst, my dear Daniel?" Her earliest words to him, and her last. Who would have thought? "Dad, what are you doing here? We've been looking all over for you," Henry said, folding his arms, narrowing his eyes. "Just... thinking," Daniel replied, looking at his gnarled hands, twisting the single gold band. We can make it work... We made it work. Charmaine pulled away from her father and sat beside her grandfather, nestling into his side, just like Diane used to. "Are you thinking about Grandma again?" "Just a little. We used to sit here a lot, you know. Just the two of us." "Just the two of you?" "Well, just the two of us and God." Henry made an impatient sound, glancing at his watch. "Dad, we need to go." "Go on then. Leave me here." "I told you before, I don't need to visit her grave. This was where she was when she died, with me in the garden." "You were in the hospital - "
"In our hearts, Henry. In our hearts." He looked up at his son wearily. "You don't understand, do you? Then again, you never had much of an imagination. Where did you first meet Sheila?" "Just tell me. Humour an old man." Henry shrugged. "The coffee shop down the street, I guess." "This was where we truly first met. You never forget. I used to talk to the trees, throwing out my grouses at God. She'd come up behind me and laugh at me. This was our place. I don't need a grave to remember her. I just need... to be here." "But Grandpa, other people don't know here." 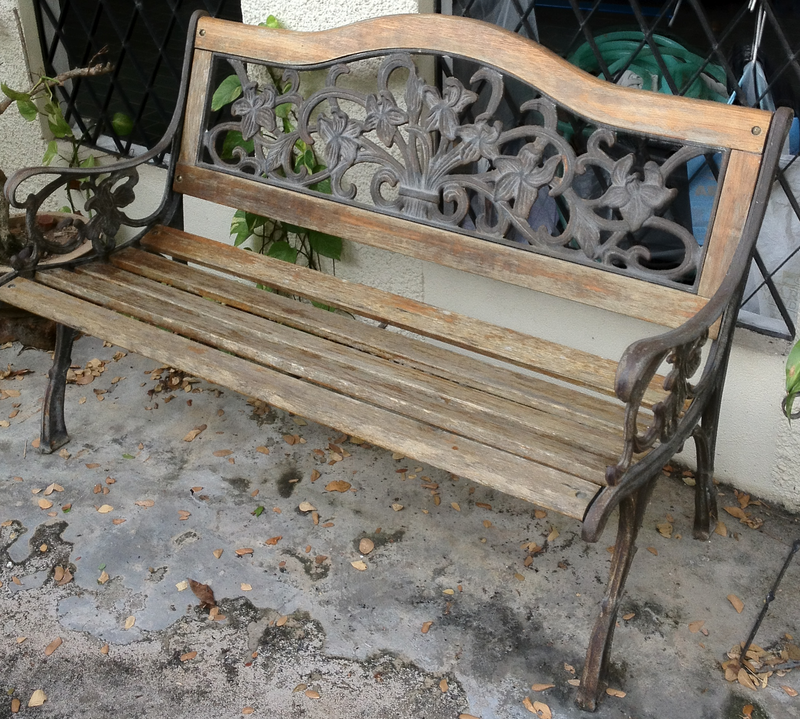 He sat for a while, gripping the edge of the bench. "I guess you're right, little girl." "Grandpa, I'm not little! I'm fourteen!" "Just the age I was when I first met this bench." Slowly, he stood to go. As he walked down the familiar neighbourhood, flanked by his son and his granddaughter, he could hear Diane's laugh through the trees. Existential angst, my dear replacement Matthew? You've proved them wrong, Daniel.